Rated 5 out of 5 by tophatmcgee from Another Brilliant Grim Tales Story Grim Tales is one of my favorite series, especially the more recent ones, simply because they pull you in quickly. My favorite games have lots of puzzles, maps and most importantly, they make me feel like I am playing with someone, not just walking around clicking here and there. 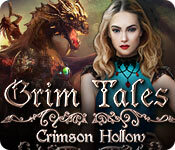 There is a more engaging vibe to the more recent games, Grim Tales and others. Richard was kinda fun, kinda creepy. Hope to see more of him :) My only complaints are that the ending was silly and the game itself was too short, but I have those same two complaints about a lot of games, LOL. Rated 5 out of 5 by JulzCat from The Picture of Dorian...Black? Anna Gray is back with a little help from one of her weird, newly rehabilitated relatives. We're introduced to the Black family, who's family apparently goes way back with the Gray's and who's family head, Dorian Black, will definitely remind you of a certain character from an Oscar Wilde novel. There will be some twists and turns involving an eccentric school headmistress, but you'll have to play the game to see that. The graphics on this game were amazing...the ghosts actually fly out at you! My only beef is that the game seemed a bit short, which is a shame, because I was really enjoying it. Rated 5 out of 5 by SkyDylKey from The Portrait Lives! Loved this game! Creepy setting and good graphics. 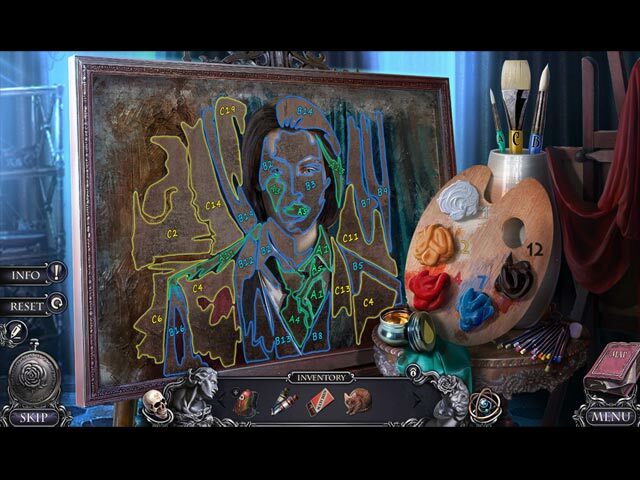 Always loved the book about Dorian Gray and enjoyed playing the game. Rated 5 out of 5 by denniann2 from a fun but creepy game a woman was taken and believed to be dead even though Dorian is still looking for her or get answers. there is a custom level and an interative map. the evil rosetta is stealing people and taken them into the past and you have to switch between past and present to finish the game. i had to consult the walkthrough once to get through the game and i played on custom with a quick hint but i still had to look through the walkthrough. i seldom have to do that anymore. a sequel? i feel sure!!! Rated 5 out of 5 by pennmom36 from Black Widow Baby There's nothing better than playing the demo of a game, thinking you have the plot figured out, only to find out that you were wrong, dead wrong! Mandms33 was absolutely correct with her title, because I didn't see that one coming either! Once you get to about the third chapter you're probably not going to know who to trust, but there's always good ole dad to help you out. I'm so glad I purchased this game, I did however opt for the Collector's Edition, mostly because I love Morphing Objects.Here's a rundown of one of the best Grim Tales to date. Detective Anna Gray has a new case to solve, one that might be a little too close for comfort! Rosette Darkwood has asked Anna to look into the mysterious disappearances of several of her Boarding School students that have gone missing. The headmistress has a few theories of her own, because all of the women were last seen with the handsome Dorian Black, at his family's mansion, Crimson Hollow. The Black family and the Gray family might have more in common than Anna ever imagined, and Dorian may be impossible to investigate if he has the same abilities as Anna! Daddy dearest is alive and well, sort of. If you remember the last episode, Anna received some unexpected help from her father Richard's spirit when her nephew's son was kidnapped. After the investigation, Anna kept her father's powerful skull (weird right?) and just so it wouldn't fall into the wrong hands, she has brought the skull with her. Once inside Crimson Hollow, Richard Gray is awakened once more, perhaps because of the family ties that bind.....whenever his skull glows, dad has something important to discuss with you, but just bits and pieces of information at a time. There are a couple of devices to help your investigation, Anna's trusty detective kit with a lockpick, a screwdriver and a flashlight (high tech stuff) and a Charm that was actually given to Dorian by Richard. The charm is called the Sphere of Time and is capable of allowing its owner to travel to the past even when protected by magic. One thing's for sure, this series just keeps getting better and better! You can always count on Grim Tales games to have exceptional graphics and a flawless incorporation of real characters. What often goes unnoticed however is the sounds. You can hear the wind howling, and the crackle of a fire, everything is realistic, and several things can be interacted with, just because you can! Stop playing for just a few seconds and listen, the sights and sounds are what make or break a game and you may not even know it. The Collector's Edition has hidden Jigsaw Pieces that will allow you to assemble 3 different Screensavers, Entailed Castle, Ancient Secrets, and Family curse pictures. As far as I can remember, all Grim Tales Collector's Editions have Morphing Objects, and the Morphs in Crimson Hollow are very creative, some of which aren't very obvious. There are also 10 Morphing Portraits to find and the normal CE bling of Achievements, Wallpapers, Secret Rooms and even Archives. 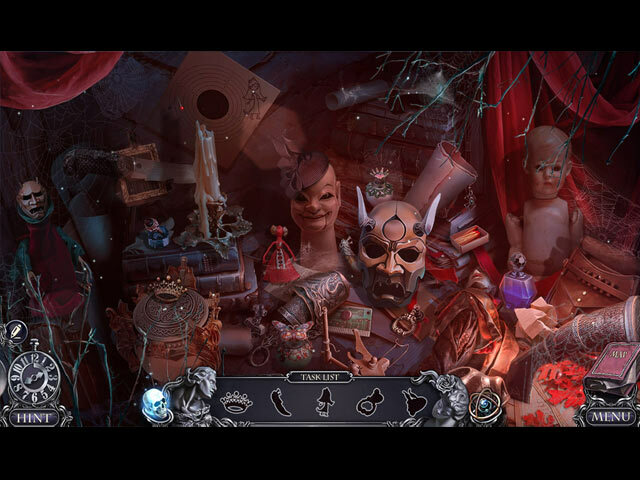 The Hidden Object Scenes are really just average, for me, that's okay as long as the Mini Games are decent and in abundance and they certainly are. There are Silhouetted Shape finds, finding items that match Keywords in a story setting, Listed Item finds and even small Zoom Zone HOP's where you are tasked with finding a handful of fragments. My favorite scene was finding items that matched their Silhouetted Shapes, but the items morphed and you had to click on the item when it was in it's correct form. The Mini Games are a mixture of small and simple puzzles to longer more frustrating types, but seem to be very doable. Below are brief descriptions of some of the Mini Games you'll encounter during the demo and a few of my favorites from the main game: 1) Select a word from each column that relates to the clues given, then click search on the computer. If correct you will read information pertaining to the search. 2) Fill each bronze plate with the correct number of spheres based on the number clues next to them and use the green triangle to move the spheres from one plate to another. 3) Control the magnet to take out all of the fragments from the fountain. 4) Move the cubes so that they will fit into the top slots of the lock using directional arrows on rows and columns. 5) Release the brides spirit from the door by selecting locks from beginning to end on chains that are free. 6) Trap the white checker piece in the corner using black checkers that can be moved to highlighted places on the board. 7) Move the clock hands so that the clock is set to Midnight, moving one hand may affect others and at different speeds. 8) Navigate to the center of the labyrinth in a specific number of moves, using directional arrows. 9) Select the correct piano keys using a complex cypher clue. 10) Select matching pairs of symbols by clicking on black spots to flip over two at a time. If you choose the incorrect matching symbol you will have to star over from the beginning. 11) Turn off all the runes on the shackles, when you turn off one rune, you change the state of adjacent runes. 12) Move the iconic monuments to the correct locations on a map. The Collector's Edition has 8 Wallpapers, 8 Concept Art pictures, Archives, a Secret Room, 5 Music Soundtracks, Hidden Jigsaw Puzzle pieces that allow you to assemble 3 different Screensavers, Morphing Objects, 10 Morphing Portraits, 15 Achievements (to the best of my knowledge) a built in Strategy Guide and a Bonus Chapter, enjoy! Rated 5 out of 5 by mandms33 from SURPRISE! SURPRISE! DIDN'T SEE THAT ONE COMING This is a great game. I reviewed the CE and loved it. The storyline is different and well written. The bad guy isn't who I thought it was; and I was convinced I had it right. The Grim Tales series continues as you investigate the disappearance of a girl that attends a girls school run by a mysterious woman, who heads a secret organization titled "The Black Widows." The music builds creating that urgency, needed to find out more. The graphics are very well done and the unique HOPS and mini games begin immediately. SE or CE this game is worth the buy. I recommend it to all. You won't be disappointed. Thanks, Mia. Rated 4 out of 5 by ninja226 from Another excellent game in the series Anna Gray visits a mansion at request of a boarding school head mistress Rosette to investigate a mystery. She meets Dorian, inspired by Oscar Wilde's Dorian Gray, and his to-be bride Stacy. Play the game to find out what happens. The artwork is beautifully done. The characters are movie star gorgeous. Music is good. HOPs are varied, puzzles mostly easy, and actions are logical. 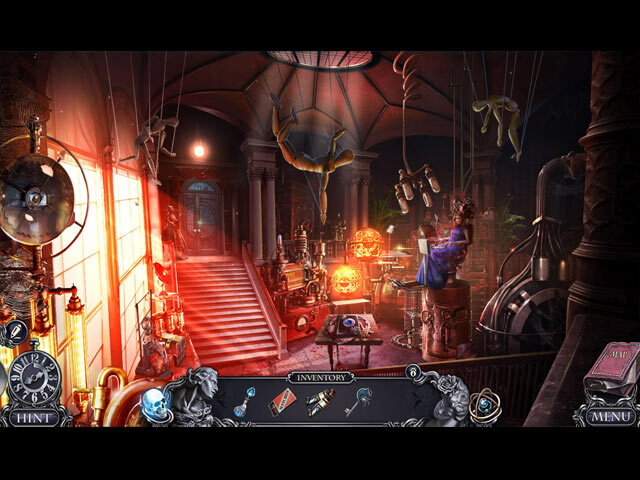 Two special features of the game are Anna's father, who is your ghost helper.When the skull at bottom left glows, you need to click on it, upon which the ghost appears, talks to you, and gives you an item needed in your journey. The other feature is the astrolabe on lower right, which glows when you are at a location where you can travel to a different time for that location, and opens up a scene for certain actions or items needed to progress. The game is well done and enjoyable to play. Rated 4 out of 5 by Alizuca from Beautiful but Very Short The game looks great, beautiful drawings and spaces, cute HOPs. But the story does not stick to your mind and the total game is very short, in the regular version. I am a little dissapointed due to that. Make games longer, please!